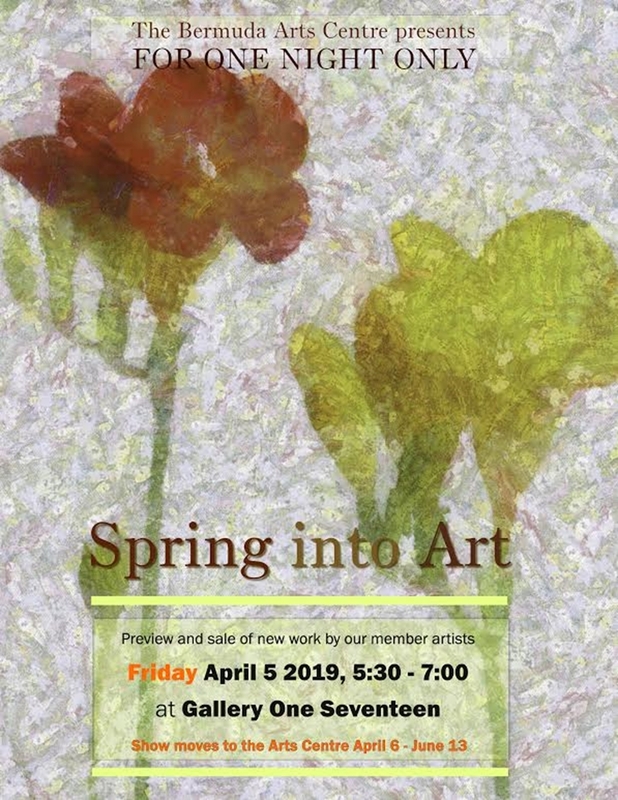 The Bermuda Arts Centre at Dockyard is getting set to present ‘Spring into Art’ on April 5 at Gallery One Seventeen, for one night only. A spokesperson said, “Artist members of the Bermuda Arts Centre at Dockyard are providing a mixed media group show. “Art in all media including work from Bermuda’s leading artists will be available for sale. A perfect opportunity to add to your local collection. 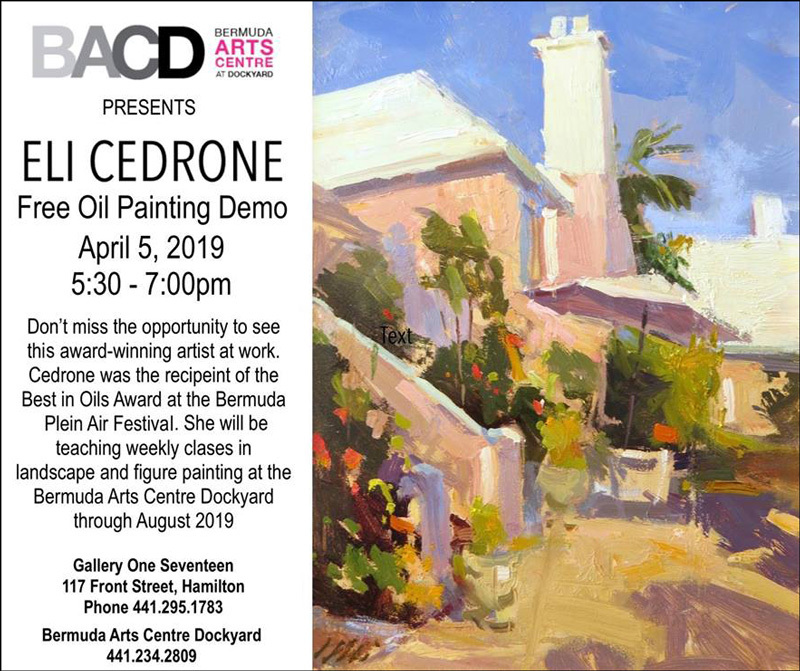 During the exhibition, Eli Cedrone will be presenting a free oil demonstration from 5.30pm to 7.00pm. “Entries into the show may be viewed on our website. Photos are being uploaded as work continues to come in.